You're out in the woods at the first sign of snow, across the fields and up to your favourite mountain hut. Under your shell jacket, you're wearing the Womens Caldera Jacket from Jack Wolfskin. The soft and cuddly fabric is lighter than regular fleece, but much warmer. 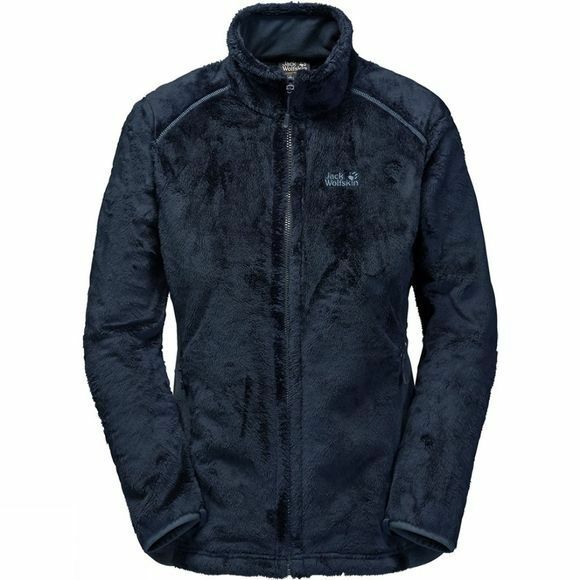 This special fleece fabric has very long, thin fibres that give an extra soft feel. They also trap lots of air, which improves the insulation performance. The jacket has all the advantages you'd expect from a fleece. It is easy-care, breathable and highly versatile. The regular system zip makes it very easy to zip the jacket into a hardshell to create a jacket that's suitable for all kinds of winter activities and all kinds of weather.